The Atlas Learn AL-EAGLE infrared receiver is a two channel infrared receiver that is designed to work with Atlas Learn infrared infrared microphones, AL-MAGPIE and AL-MYNA. 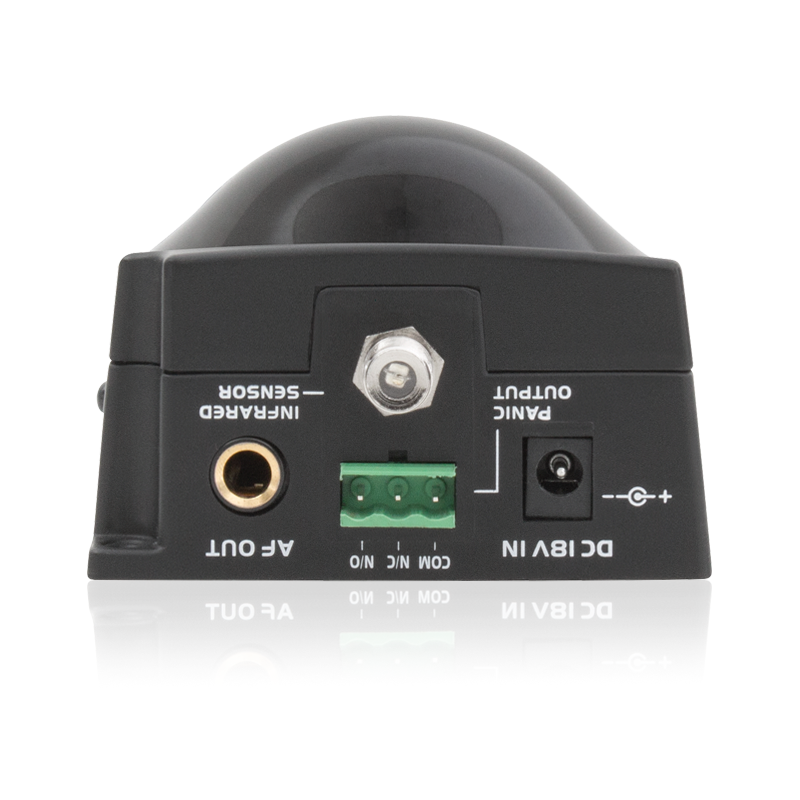 The AL-EAGLE connects via RCA output to almost any local audio amplifier. 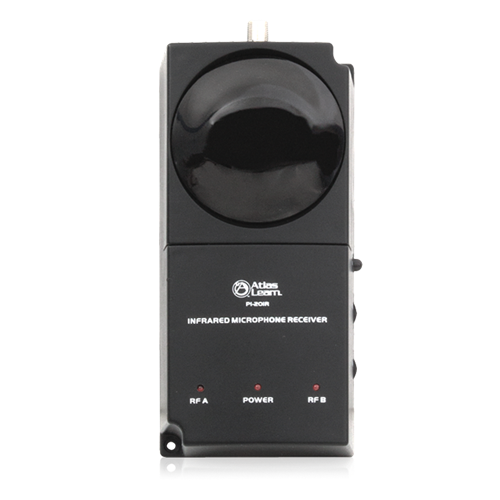 This allows teachers and students to walk freely around the classroom with the infrared microphones/system control units and project their voices through connected, installed speakers. The AL-EAGLE also features a contact closure output that can be connected to a secondary system allowing the teacher to signal an emergency situation in the classroom using the "Panic" feature on the AL-MAGPIE or AL-MYNA wireless transmitters (in "teacher" mode only). 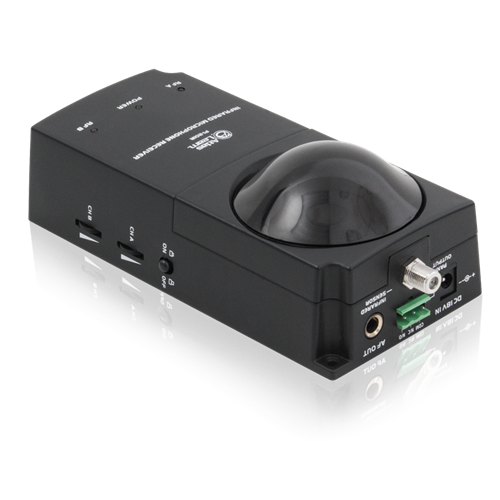 For larger rooms, the AL-EAGLE has an F-pin style input connector that is designed to be used with a secondary infrared wireless dome, AL-IRDS, if needed. Volume controls for the two wireless transmitters are located on the side of the AL-EAGLE to properly set or adjust transmitter volume internally mixing the two channels for output to the amplifier. Three LEDs are located on the front of the unit and act as visual indicators for system power and connection.